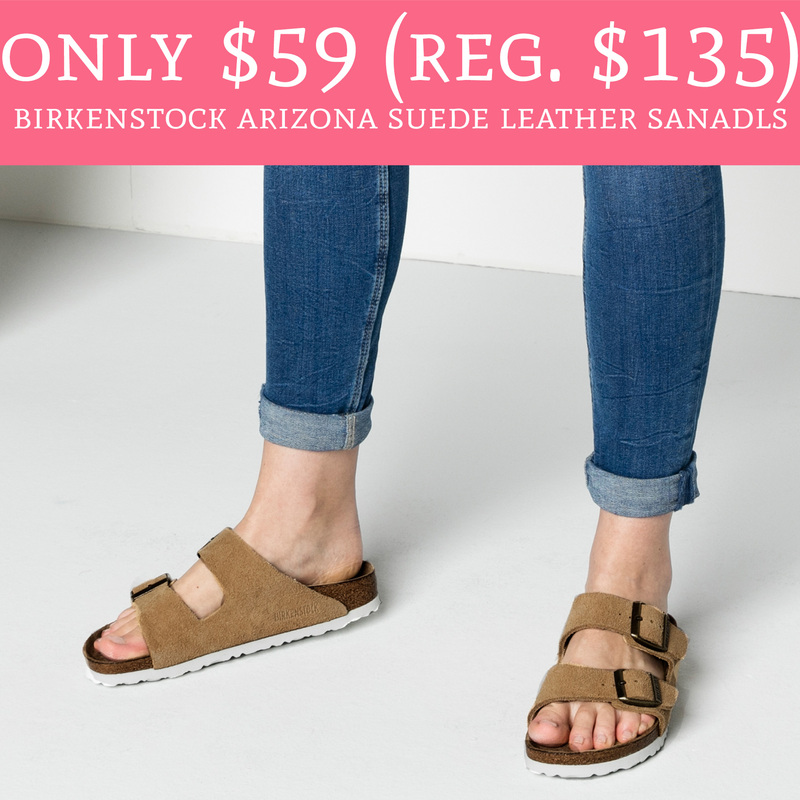 For a limited time, hurry over to Proozy.com where can purchase Birkenstock Arizona Suede Leather Sandals in Sand for just $59 (regular $135). They are currently on sale for $80 and use promo code AZ59 at checkout to receive an additional $21 off! That makes the the sandals just $67! Plus, you will receive FREE shipping! This deal won’t last long so hurry and order yours here!